Forget shifting the story, veteran and military spouse Justine Evirs wants to switch it up completely. After years of experience in higher education where she worked in admissions, building programs, and academics, she left the higher education world and started The Paradigm Switch, with the intent of making a national impact on veteran and spouse employment. Evirs sees herself as accelerating the program the government is talking about and is prepared to present that information to them when they are ready. The goal is to help more people, like an Army soldier who is about to retire. “She just graduated with a certificate in digital marketing last month, after 20 years in the Army, she took advantage of the scholarship. Now her entire world has changed with opportunities and her approach to the job market,” Evirs said. While building a team, continuing to fundraise for scholarships, and narrowing their focus, The Paradigm Switch is continuing to award scholarships to help fill the gap. 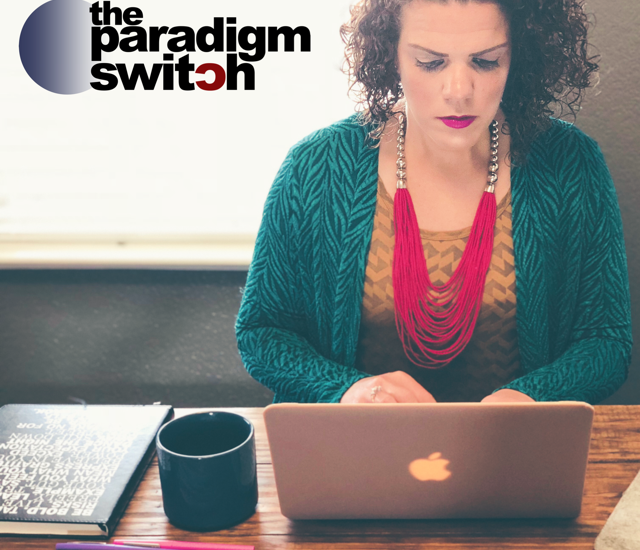 Their website defines the gap that most transitioning service members and military spouses suffer from includes networking, mentorship, and skills-based training, all of which are addressed by the Paradigm Switch. When discussing skills-based training, Evirs is talking about more than just on-the-job technical training. We’ve all read and heard Mike Rowe talk about how there are plenty of blue collar jobs waiting for hard-working Americans out there. Evirs and The Paradigm Switch is talking about prestigious skills-based careers. “We [the military community] are not filling the gap for high-level jobs,” she said. “We’re selling the community short.” Remote work, changing jobs every 18-24 months, and even changing companies for career advancement is now the norm. So every time someone comments about how long a military spouse is going to be living somewhere, let’s challenge that. Evirs wants the military spouse community to embrace this new norm. The initiative toward making jobs more accessible to military spouses is applaudable, however, priority number one for the families attempting to be reached will continue to be the children. Until there is quality sustainable child childcare available for military children, employment and education opportunities will continue to be under utilized. I have been in the industry for 20 years and completely believe in the cause. Check my Linkedin. http://www.Linkedin.com/in/sacharya . I have built very successfully programs that have helped the blind get to contemporary careers. There is a big need for Veterans in certain job functions, specially Mil Spouses. These jobs are just getting outsourced because of the lack of talent and lack of workforce development programs that don’t meet the contemporary jobs. I wish we could chat on the phone to explain. I am student at HBS and also working, but will always find the opportunity to chat with you on this subject. Check out the website in the link, you will get an idea of the jobs and the training programs. If the blind can be successful, mil spouses can be too.